I borrowed an Oracle Stroboscopic Speed Calibration disc from a dealer. After being criticised for using a Rega Planar 3 turntable – which reputedly spins faster than specified – as reference by a reader named Chris (see the comments in http://www.av2day.com/2014/10/analogue-vs-digital-again-pt-ii/), I decided to do something that I had always wanted to do – tweak the Rega to spin at the right speed. It is well known that Rega turntables have the tendency to spin a bit faster than 33 1/3 rpm. Whether this was done on purpose or not, I do not know. 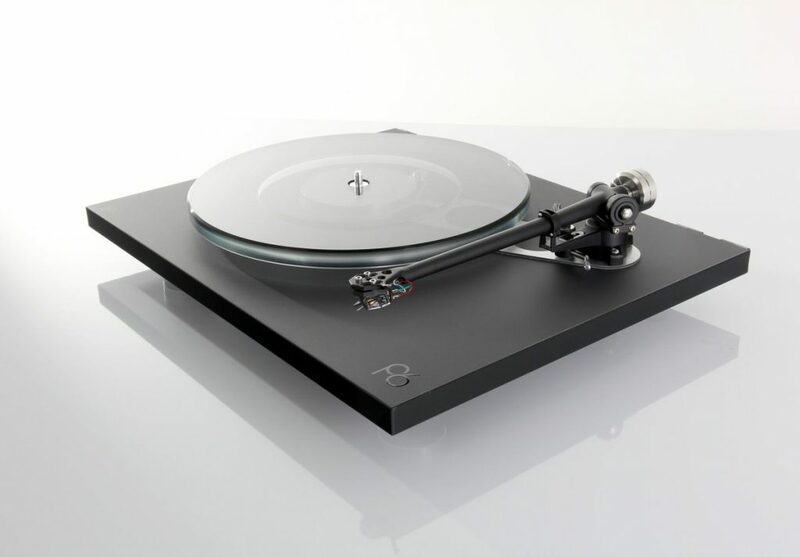 But what I know, after much research googling around, is that the higher-level Rega turntables with the more precisely-sized metal sub-platter such as the RP6, RP8 and RP10 have no issues with speed fluctuations. 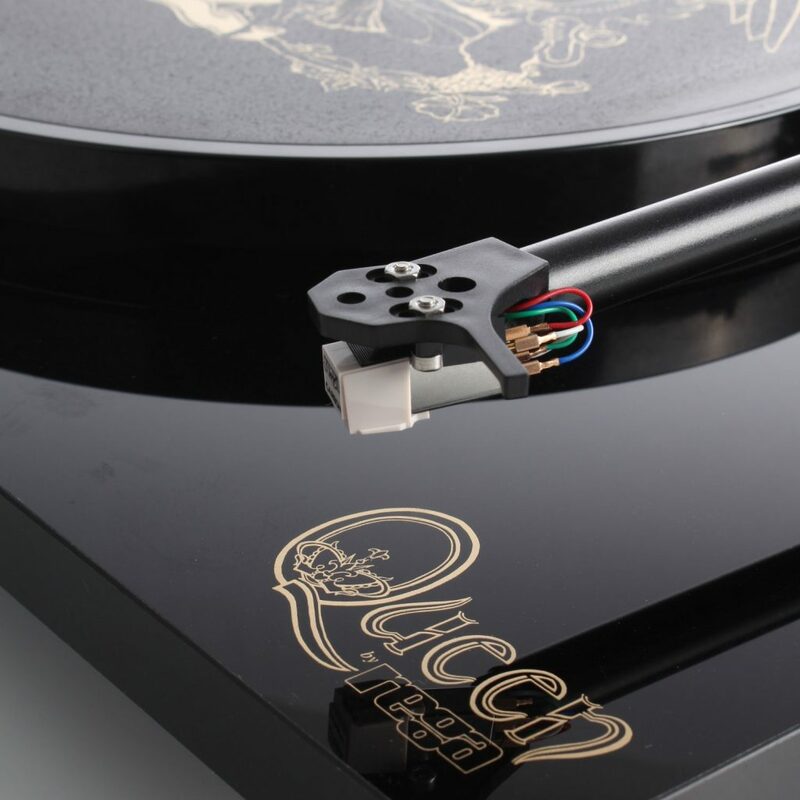 Owners of these higher-end Rega turntables have not complained of them spinning faster. 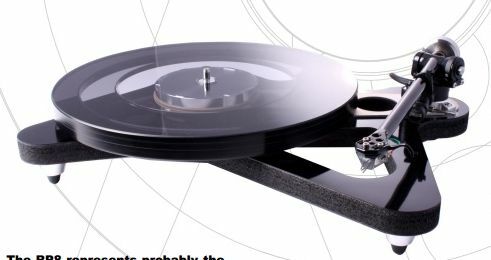 Comments that Rega turntables spin faster come from owners of lower-end Rega turntables which use the plastic sub-platter. There are lots of suggestions by audiophiles on how to correct the speed on various internet forums. 1) I borrowed a Stroboscopic Speed Calibration disc from a dealer. 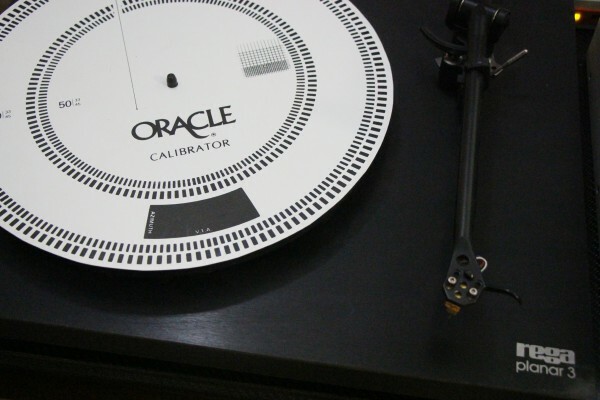 It is a cardboard model from Oracle, the high-end turntable manufacturer. The 3M Micropore surgical tape costs only RM2.50. 3) Back home, I simply placed the Stroboscopic Speed Calibration disc on the Rega platter and turned the motor on. In Malaysia, the electricity supply is 230 volts with a frequency of 50Hz. So you have to look at the circle of black markings meant for 50 Hz mains. Since the voltage fluctuates, especially during peak consumption hours, and the frequency can also fluctuate, I decided to do the speed test at 2am in the morning when most sane people are fast (pun intended) asleep. I switched on a fluorescent lamp and stared at the black markings. 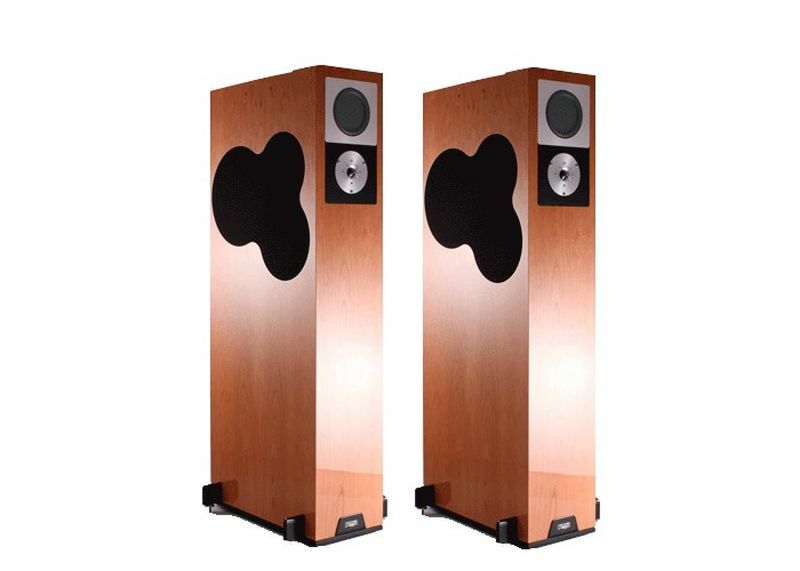 They started to move forward – so it was confirmed that my Rega Planar 3 spun faster than specified. 4) I switched off the turntable, removed the glass platter and pulled out the plastic sub-platter (which is attached to the oily steel spindle). 5) Carefully, I stuck one layer of the Micropore surgical tape on the side of the sub-platter. You have to make sure that the tape is level with the top of the sub-platter. There will be about 1mm of tape jutting out from the bottom of the sub-platter. 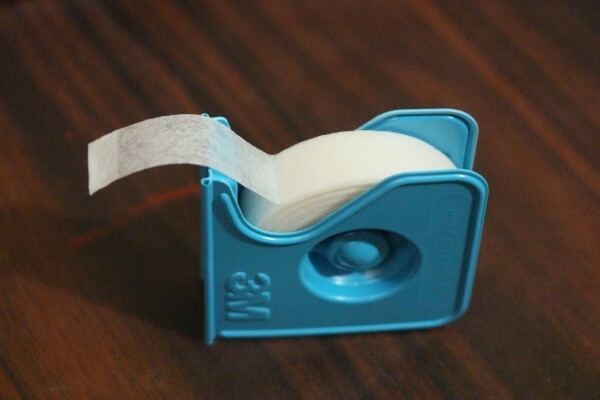 Use a pair of sharp scissors to trim the tape. Stick the Micropore surgical tape on the side of the plastic sub-platter. I had to stick four layers of tape to get the Rega Planar 3 to spin at (about) the correct speed. 6) I put the sub-platter back into the bearing housing, placed the belt onto the sub-platter, placed the platter on the sub-platter, and slipped the Stroboscopic Speed Calibration disc on it and turned on the motor. The markings still moved forward. A word of advice – rest your eyes every now and then because you can feel a bit dizzy after staring at all those black markings moving forward and backward. 7) I repeated the process several times till I managed to get the markings to remain more or less stationary. It took four layers of Micropore surgical tape to do that. My view is that it is difficult to get the markings to stay perfectly stationary since the voltage and frequency would probably still fluctuate in minute amounts. It could be my ageing eyes playing tricks, but I got to the stage when the markings appeared to be stationary for a few seconds and then move slowly forward for a few seconds before appearing stationary again and then start moving slowly again. I think it’s okay for the turntable to spin just a wee bit faster since when you play an LP, the stylus drag will slow down the speed just a little. 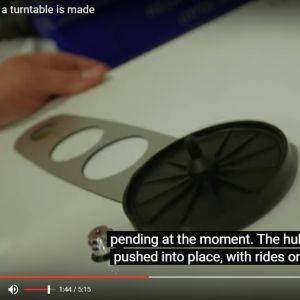 I think if your turntable does not have optical, full automatic speed control like the higher-end Clearaudio turntables which offer speed accuracy of less than ± 0.08 per cent, you just have to tweak your turntable to the most accurate speed with a Stroboscopic Speed Calibration disc and strobe/fluorescent light and hope for the best. Chances are the speed will vary with voltage/frequency fluctuations anyway, if the motor is AC. I just spent a few hours yesterday spinning some vinyl to find out if there is any difference. I feel the difference is in the density and timbre of the music. Images firm up and become denser while the music becomes less ‘hollow’ sounding. This is a cheap tweak – the 3M Micropore surgical tape costs only RM2.50. Most houses have fluorescent lamps, so you don’t have to buy a strobe. 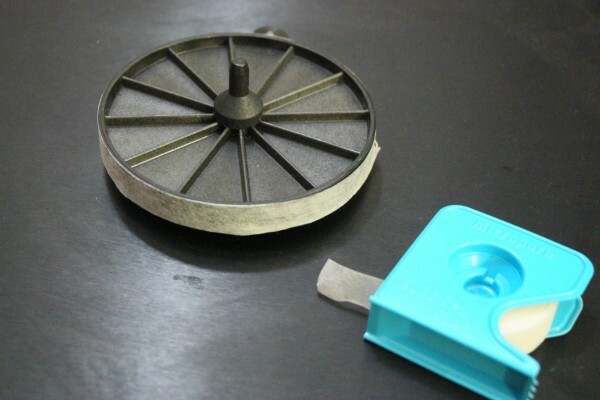 As for the Stroboscopic Speed Calibration disc, it is advisable to either buy or borrow one. While you can download one from the Internet (there are a few websites offering free downloads of the disk) and print it, I read in some forums that Stroboscopic Speed Calibration discs downloaded from the Internet are not very accurate.